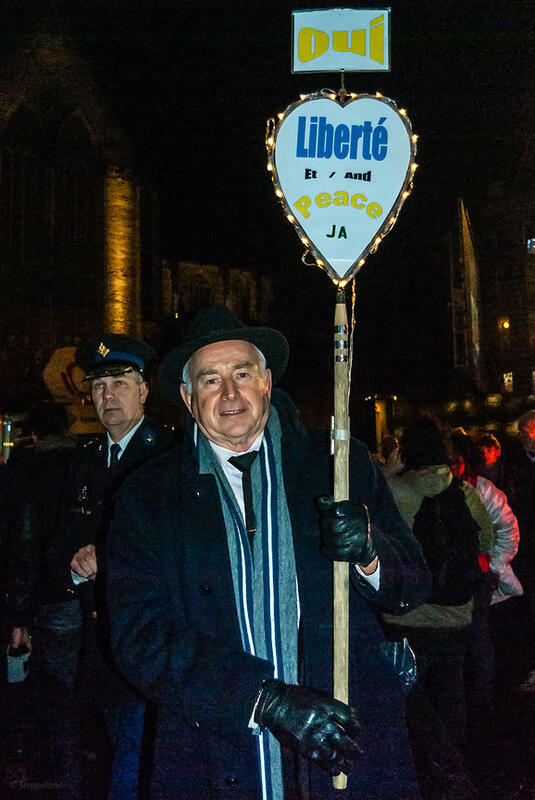 Amsterdam, Netherlands 2015-01-08: Man holding a two-sided sign at the demonstration - YES - side : YES to liberty and Peace . Behind him, Pieter-Jaap Aalbersberg, Chief commissioner of Police, Amsterdam, who also spoke on the manifestation. Archive photo.